It is very rare to experience an iPhone or iPad totally unresponsive, but it is also undeniable that such a mishap can happen sometimes. The most recent problem is during iOS 12.1.1/12.1/12 downgrade stuck in recovery mode. Updating or downgrading an iOS is not a simple thing; you must make proper calibrations to your device so that it can receive the update properly. So, if you haven't cleared the space or didn't follow the procedures properly then your device is probably stuck on the DFU or Recovery Mode. Below, you can find the procedures that can fix your device. So let's get started. iOS is one of the best Operating Systems in the world but you can still face some difficult situations during the downgrade of iOS. Sometimes you can get stuck on Recovery Mode or DFU Mode during the procedure, but there is no need to worry as long as you are using Tenorshare ReiBoot software for recovery. Step 1: Download and install it on your computer. Step 2: After your computer recognizes the device, go to the main interface of the software and select "Fix All iOS Stuck". Step 3: Then you need to click on "Fix Now" at the bottom of the window. Step 4: Go to "Browse" to select a destination and then "Download" the latest official firmware. Step 5: After it is downloaded, you can click on "Start Repair" to fix the system. 1. Tap the Volume Up button at first. 2. Then tap the Volume Down button. 3. After that, you have to press and hold the Power button, hold it until the Apple Logo is visible to you. 4. Your iPhone will be restarted. 1. Find the Power button on the right side of the device. Press and hold it along with the Volume Down button. 2. Now, you have to wait for a few seconds until the Apple logo appears on the screen. 3. Then you can swipe the slider to restart the device. 2. Keep holding until you see the Apple logo. 3. Now leave the buttons and wait for a complete start sequence. So, hopefully, you can fix iOS 12 stuck in recovery mode by simply restarting the affected device. Step 1: Open your computer and launch iTunes. 1. Connect your device to your computer via original USB cable. 2. Press and hold the Home button as well as the Lock button. 3. 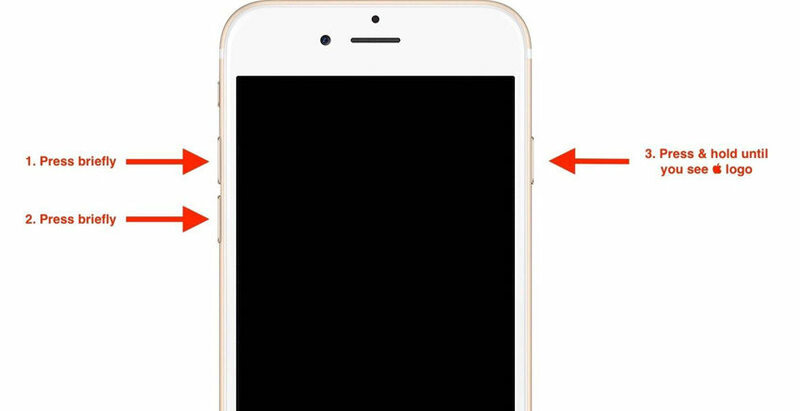 After about 8 seconds, leave the Lock button and keep holding the Home button. If you see the Apple logo, you probably held the Lock button too long. 4. If you see a black screen completely, you have entered DFU mode. 1. Press the Lock button and Volume down button together. 2. Then let go the Lock button but keep holding the Volume down button for about 5 seconds. 1. Similarly connect both the devices. 4. Press and hold the Side button until you see a black screen. Now press and tap down the Side button as well as the Volume Down button. 5. After about 5 seconds, leave the Side button while holding down the Volume Down button. If you see the Apple logo, you held the Side button too long. Step 3: Now, you successfully enter DFU mode, iTunes will alert you about your device being detected in recovery mode. Click "Restore". Step 4: Now on iTunes tap "Restore iPhone"
Step 5: iTunes will alert you again about wiping out your data and settings and restoring your iPhone factory settings. Step 6: Just tap "Restore and Update" and finally "Done". 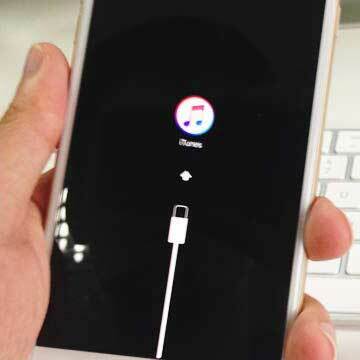 This is what you can do if you are experiencing iOS 12 downgrade stuck issue. This will take some time to restore your iPhone now. After it is done, you will have a fully reset iPhone ready for use. Overall, if your iPhone stuck on Apple logo after downgrade, these ways can help you restore your device to normal so that you can use it again. All these methods are tried and tested and it works well if it is done right! So, follow the steps carefully. We highly recommend you to go for Tenorshare ReiBoot to fix these stuck issues because it is, first of all, easier to use and secondly it is completely hassle-free and comes with various features to help all types of stuck issues. Go for it and don't miss this stellar software!